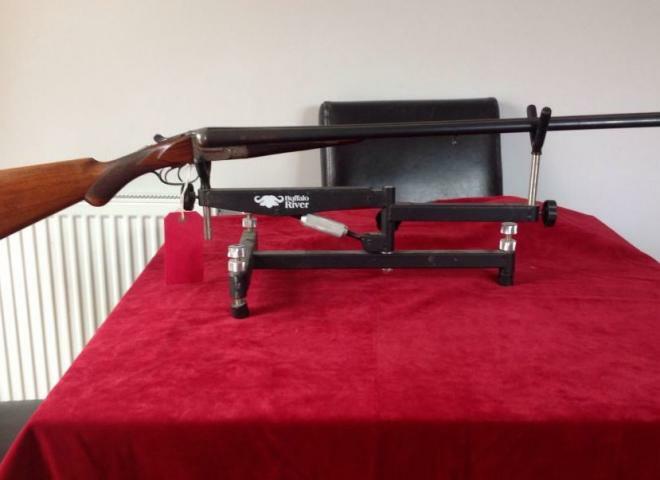 Pre owned MT6 in tidy condition, multi choke with five chokes in total and case. 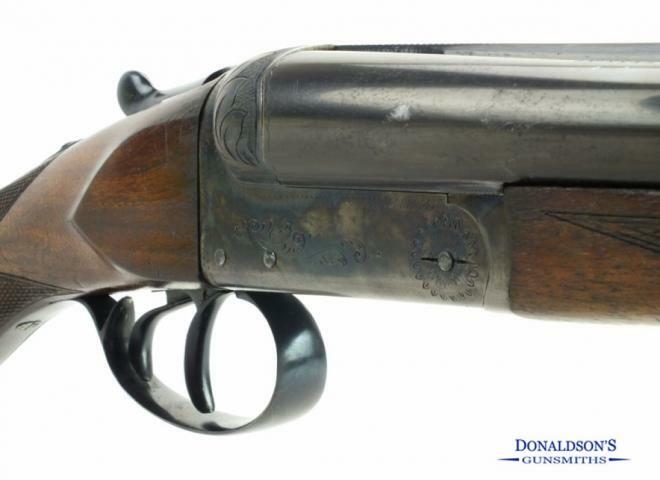 An original spec, one owner from new 3/4 and Full 30" Browning B25 C3 Trap with Broad Rib and fine scroll engraving (C3). 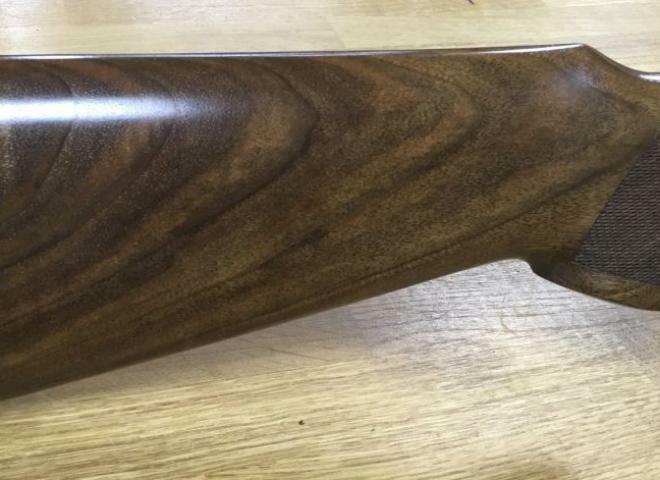 New from Rizzini, outstanding value for money in this very desirable calibre. This M16 look a like practical shotgun comes with a set of 5 chokes, rigid carry handle , Large box mag, open, aperture rear battle sight and fibre red front sight. 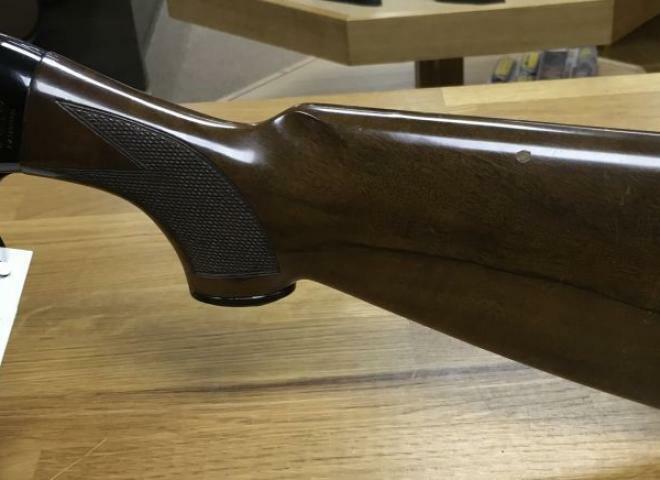 Brand new example of the Browning B525 Sporter One - factory adjustable stock model. 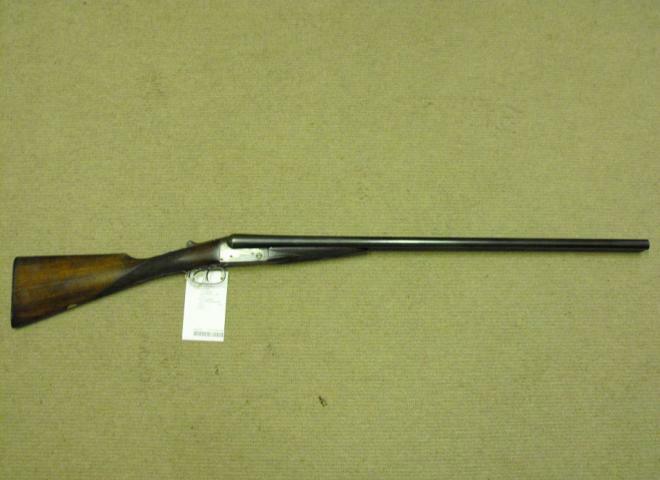 The latest 20B Browning Sporter model with mid-pip and 10mm rib, supplied with 4x chokes, key and hard case. 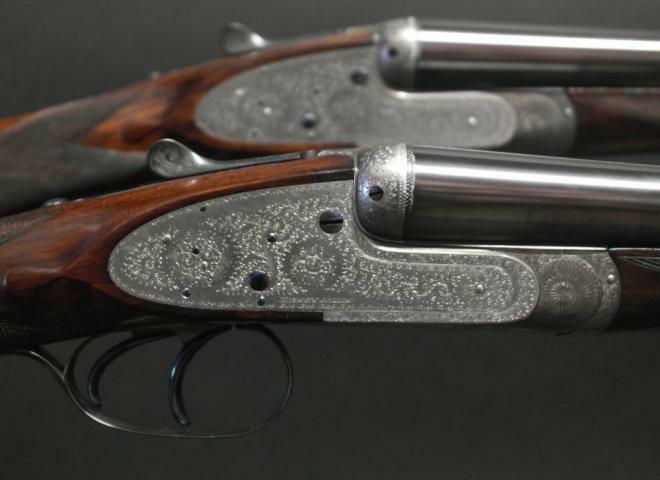 A good pair of Henry Atkin spring opening sidelock ejector guns with 28" barrels 2 1/2" chambers Ribs engraved Henry Atkin (from Purdey's) 41 Jermyn St. London S.W. Gun is in fair condition. 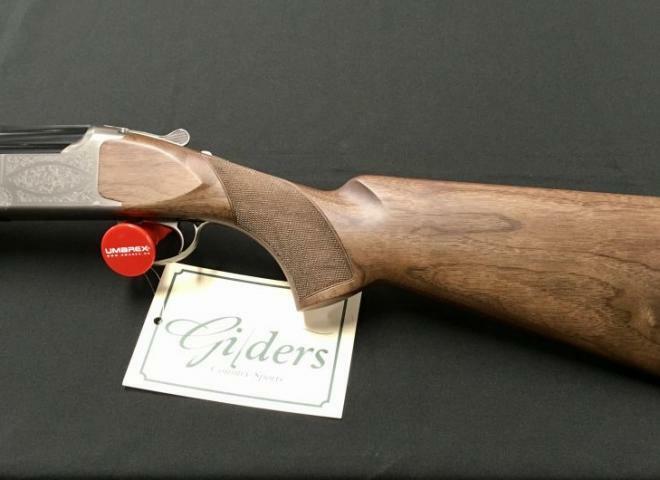 Superb new Browning B725 Hunter UK Premium - a lovely model specifically developed for the UK shooter in 20 bore. 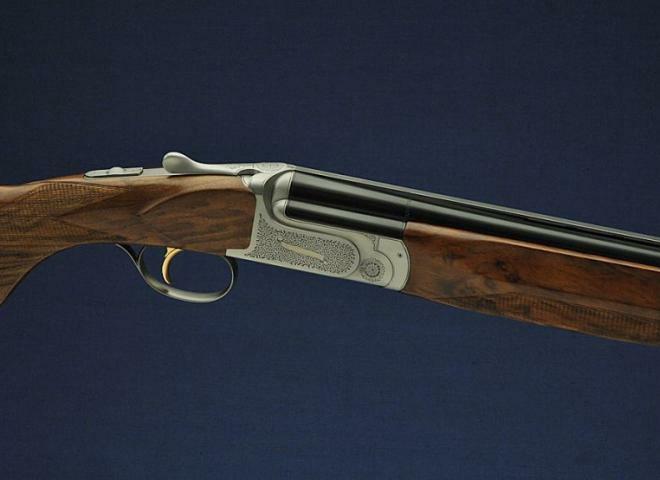 Featuring selected well figured grade 3 wood with game scene engraved action (Pheasant and Partridge). 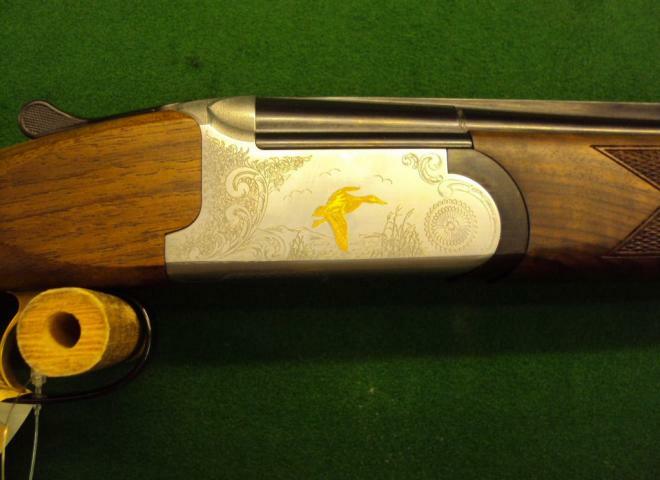 Features Browning classic B525 action with game scene engraving with Duck and Pheasant. 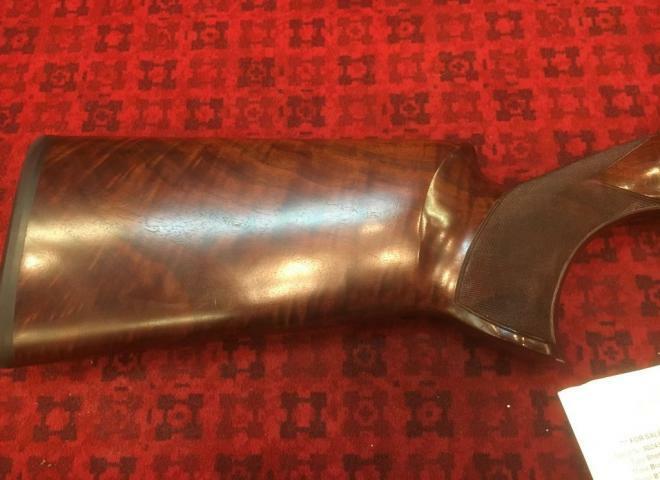 Unknown make - nice gun. 10MM STEPPED RIB. KICK EASE PAD FITTED. SPRINGS REPLACED. 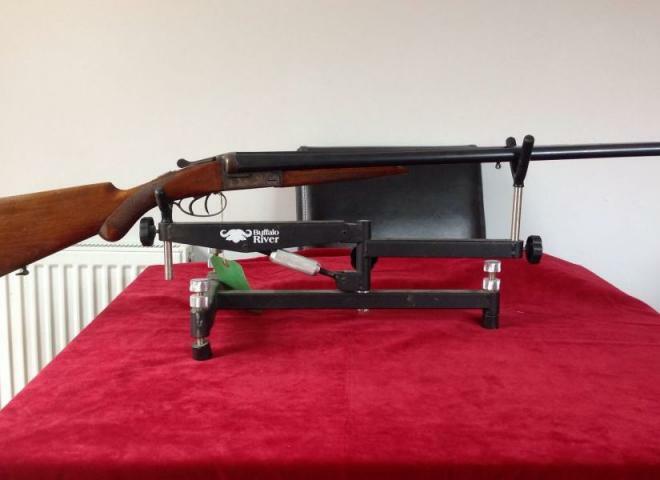 NORMAL WEAR AND TEAR BUT A GOOD HONEST GUN. IN GOOD ORDER A GREAT GUN TO BE PRECISION CHOKED!! 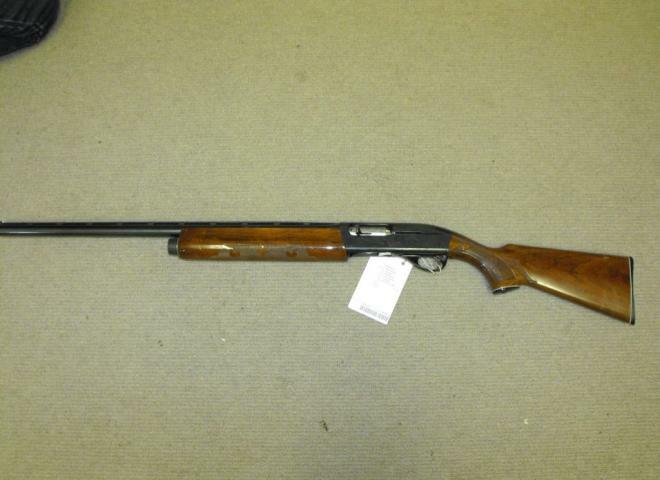 A clean & tidy example of the classic Browning shotgun. 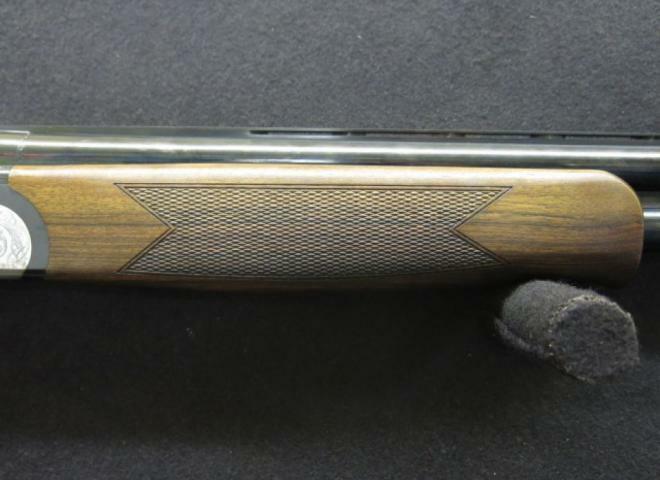 Superbly figured dark walnut with black action gold inlay game scene. Barrels reblacked & woodwork re-finished. 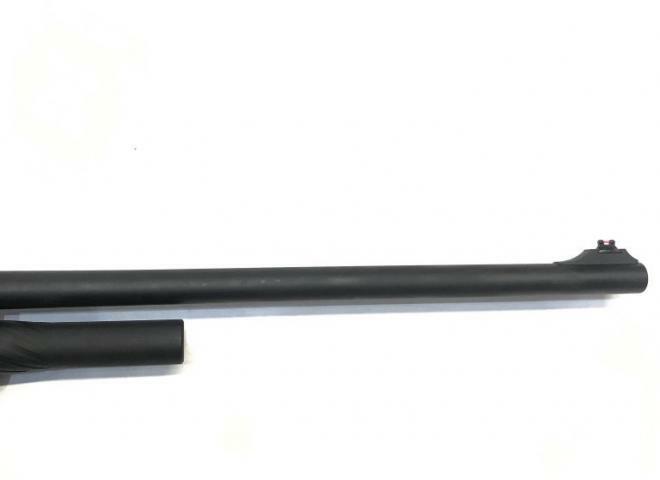 Ventilated rib and pistol grip stock. THIS HAS GOT TO BE THE WRONG PRICE. 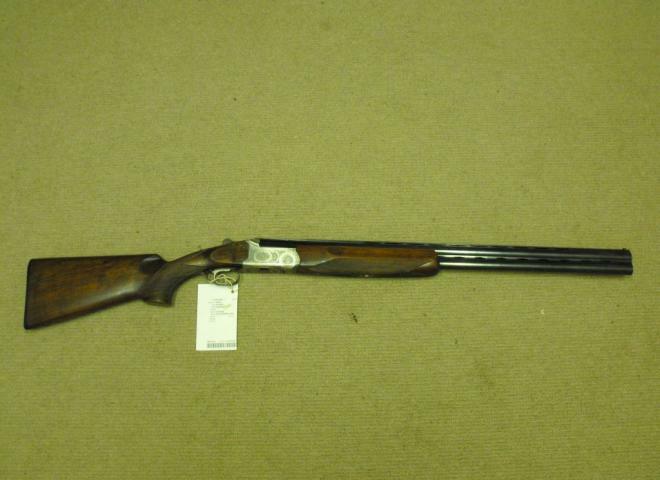 This Winchester 101 is total original in excellent condition, comes with 4 chokes. 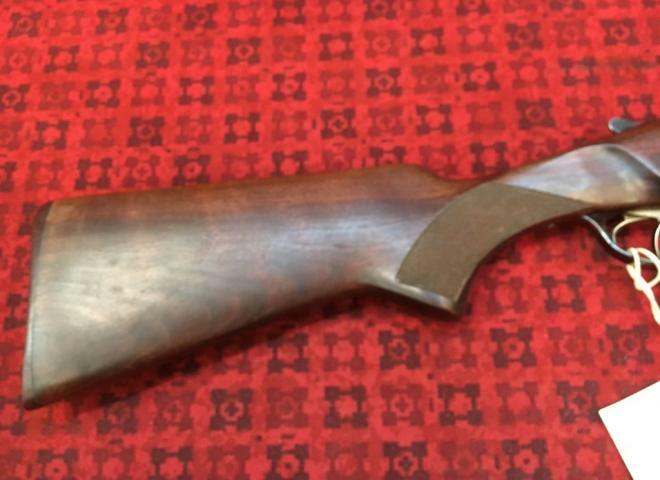 Charles Lancaster Hammer Ejector,This is in superp condition Inlayed in the stock, Lancaster game counter,Very nice English Walnut stock and forend.This was made in 1889 as an Ejector.Lovely demascus Barells. If interested please call. 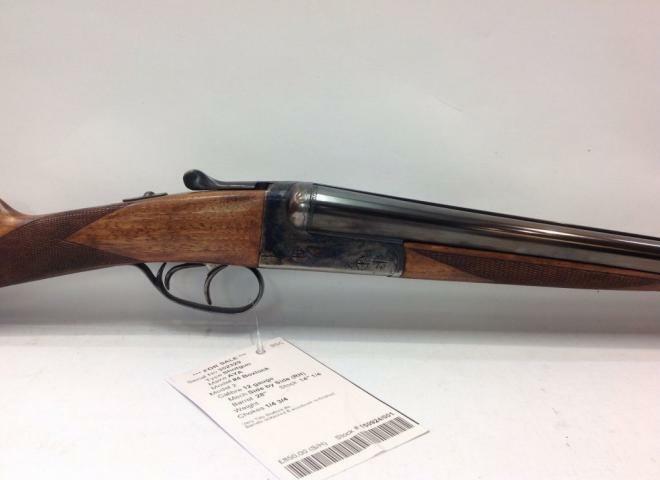 GREAT VALUE SIDEPLATED SPORTER, GAMESCENE ENGRAVED WITH NICE WOODWORK. 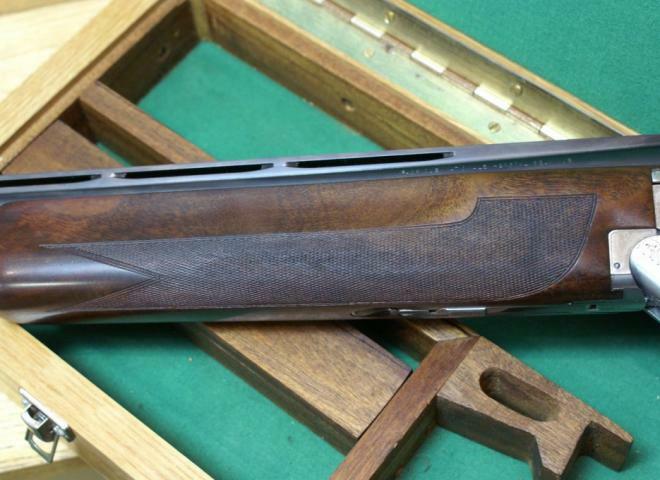 A great very robust good looking S/B/S with nice engraving and oil finished woodwork.